Here are key players who are unlikely to feature in Gameweek 14 owing to injuries or suspensions. We discuss their expected lengths of absence, followed by discussing potential like-for-like replacements. 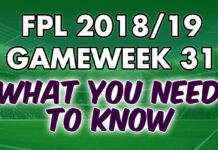 This knowledge is of utmost importance at this time of the season with a fixture-packed month of football festivity, the busiest month of the English Premier League, lying right ahead of us. The importance of getting rid of deadwood from our teams cannot be overstated. The biggest dilemma going into Gameweek 14 is undoubtedly whether Eden Hazard will start or not. That Hazard has been the best player so far this season is a widely held opinion. His FPL returns have matched his quality on the field. He had the highest fantasy points in the game across all positions up until two gameweeks ago, but his recent struggles with minor injuries (back and ankle) have been an annoyance for nearly 3 million FPL managers (50% ownership at the time of Gameweek 9). He has since been dropped by around 625,000 FPL managers and suffered three price drops over the course of the next 5 gameweeks. Those who have dropped him have not come to regret their decision because he has failed to score in the last 5 gameweeks (three of which he started in, and one of which he came off the bench in). He has only registered 1 assist since Gameweek 8. His absence on the bench in Chelsea’s Europa League squad hasn’t done wonders to support his retention in our FPL teams. This is further compounded by the fact that Raheem Sterling – Hazard’s primary like-for-like replacement – has not only been in hot form off late but has also surpassed him as the highest fantasy point getter so far this season. What works in Hazard’s favor, however, is that Chelsea are at home to the leakiest defense in the Premier League in Fulham this week. Chelsea manager Maurizio Sarri is hopeful Hazard will be able to recover just in time. If Hazard starts, he is probably the best captain choice this gameweek. Alexandre Lacazette played no part in a Premier League game for the first time this season in Gameweek 13 owing to a minor groin injury sustained in training. Lacazette has consistently contributed goals and assists for Arsenal this season (5 goals and 3 assists in 9 starts). His attractive price tag makes him a more affordable option over the other source of Arsenal’s fantasy points, Pierre-Emerick Aubameyang. Though Lacazette is in contention to play some part in Gameweek 14, the difficulty of the fixture doesn’t especially warrant his retention in our teams. Arsenal host Tottenham at the Emirates in Gameweek 14, and while Tottenham are on the back of their best performance this season in last week’s 3-1 battering of Chelsea, Arsenal have not yet beaten a top 6 team under Emery (2 losses and 1 draw). Arsenal travel to Old Trafford in Gameweek 15, and despite Manchester United having only kept 2 clean sheets in 13 games, it is not a very attractive fixture for Arsenal on paper. 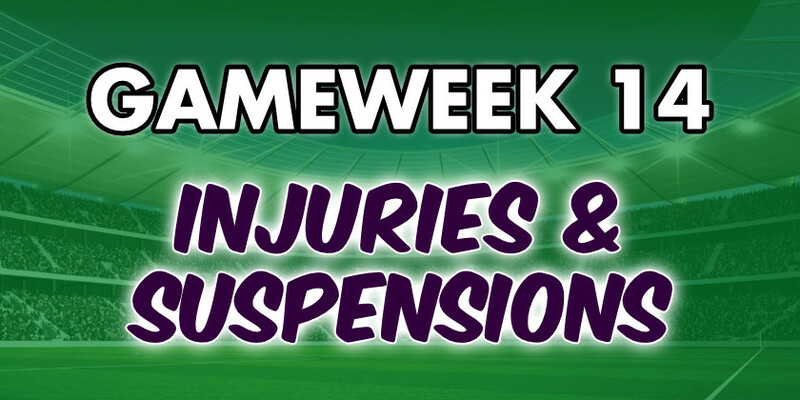 Having missed the last two games (in all competitions) after sustaining a groin injury in the first half hour of Gameweek 12, Kieran Tripper remains doubtful for the North London derby. He is however in the final stages of his rehabilitation and cannot be completely ruled out of the clash. Trippier has been one of the most attractive defensive options in FPL this season having cemented his starting place over Serge Aurier. One goal and four assists, combined with four clean sheets and 8 bonus points in 10 starts make him a great buy for £6.1 million. He has averaged 6 points per start this season. Spurs arguably have the best run of fixtures among all 20 teams in December and, after Gameweek 14, don’t face another top 6 team until Gameweek 22. 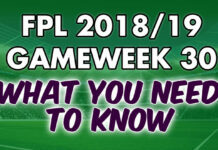 Trippier should be back for Gameweek 15 (if not Gameweek 14!) and it would make sense to retain him. Harry Maguire is set to miss Leicester’s home game against Watford in Gameweek 14. He sustained a knee injury in Gameweek 11. He isn’t expected to be out of action too long though. With that said it would be wise to transfer him out now because Leicester face three top 6 teams in their next 5 fixtures after Gameweek 14. Benjamin Mendy is expected to be out for up to three months with another knee injury. When fit, Mendy is of great fantasy value among defenders. His attacking prowess on the left flank, but his time with Manchester City so far has been marred with injuries. It is a no-brainer that he should be transferred out immediately (if not already) and a good differential replacement (also a cheaper one) would now be Fabian Delph who is most likely to deputize in Mendy’s absence. For predicted starting lineups for all 20 Premier League teams, along with each player’s percentage chance of starting, check out our FPL Team News page. I have been playing Fantasy Premier League for the last 5 seasons, and the total points at the end of each season have been an improvement over the previous.